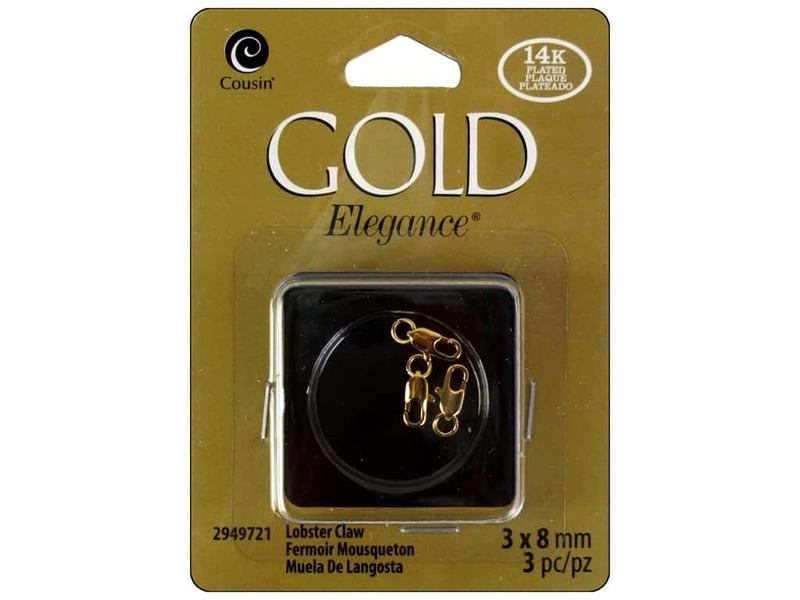 Description: Cousin Elegance Lobster Claw Clasps are a universal jewelry clasp that provides a secure closure for for everything from delicate necklaces and bracelets to chunky, heavy chain. 7 x 13 mm (1/4 x 1/2 inch). 3 pc. 14K Gold Plate.